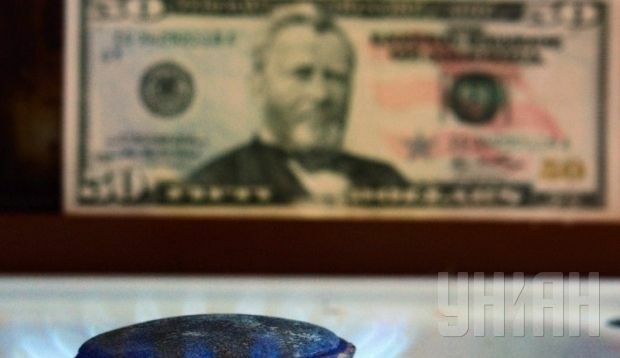 Ukraine will use its foreign currency reserves to pay Russia $4.6 billion by the end of the year for past and future supplies of gas, the head of the National Bank of Ukraine Valeriya Gontareva said on Monday. "The National Bank has agreed with the IMF on payment for Russian gas directly from [Ukraine’s foreign currency] reserves," she said at a briefing in Kyiv. As UNIAN reported earlier, on October 30, Ukraine, Russia and the European Commission signed a deal to resolve a dispute over gas supplies to Kyiv for the coming winter heating season. According to the agreement, Russia will resume gas supplies to Ukraine, which were completely halted in June, after it receives a $1.45 billion debt payment for previously supplied fuel. According to the deal, by the end of the year Ukraine is to pay a total of $4.6 billion to Russia, $3.1 billion of which is for previously supplied gas and $1.5 billion as an advance payment for the four billion cubic meters of gas that Russia is to supply to Ukraine by January. The talks to resolve the gas dispute between Kyiv and Moscow, which were mediated by the European Commission, had been dragging on since May. The recent agreements are only a partial solution to the dispute, which is expected to be finally resolved at the international arbitration court in Stockholm.